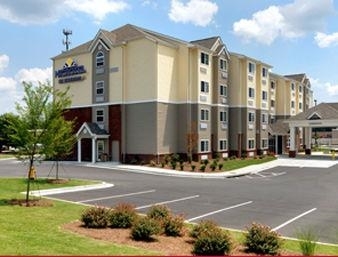 Relax at the consistently enjoyable Microtel Inn and Suites by Wyndham Columbus/Near Fort Benning hotel conveniently located off Interstate 185 minutes from Fort Benning and restaurants. Admire famous artwork, and create your own at the Columbus Museum of Art just three miles away. Experience space travel at the Coca Cola Space Science Center, explore exhibits at the Civil War Naval Museum, or take a break and enjoy nature on the Chattahoochee River Walk. Ideal for business and leisure, relax at this modern lodging with complimentary deluxe breakfast buffet, complimentary wireless Internet access, fitness center, outdoor pool, meeting room and business center with copy and fax services. Guest room amenities include work desk, coffee-maker, hairdryer and flat-screen TV. Suites, smoke-free and wheelchair accessible rooms are also available. Pets are welcome at this lodging. Allen Woodall Jr. collects all the classic mid-20th century metal lunch boxes, decorated with TV and toy characters.